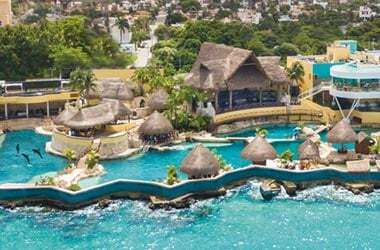 SWIM WITH DOLPHINS AT THE WORLD’S BEST DOLPHINARIUMS. 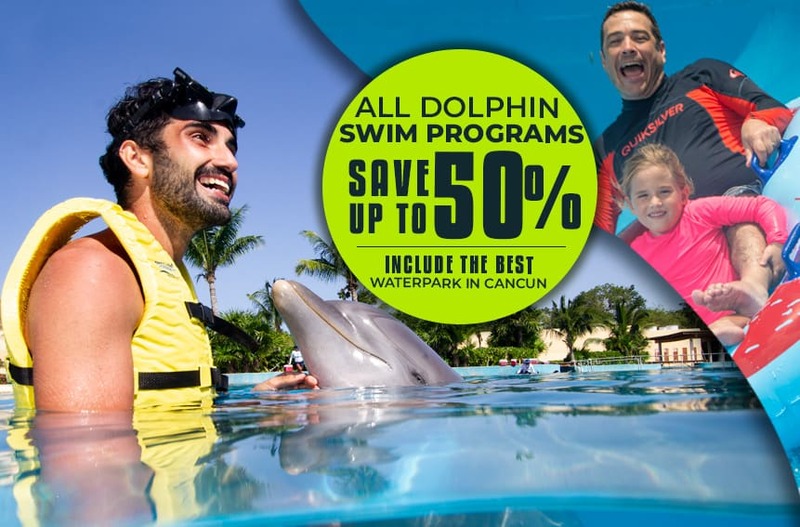 Dolphinaris offers you the opportunity to swim with dolphins in five mind-blowing locations that exceed the expectations of the most experienced tourists. 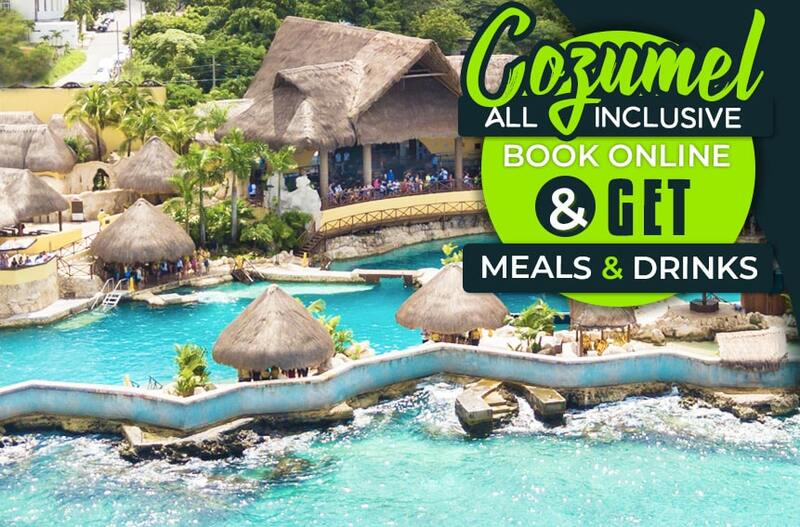 Situated in Cancun, Tulum, Riviera Maya Park, Cozumel and at Barceló Hotel. Come with us and get a once in a lifetime experience in Mexico. 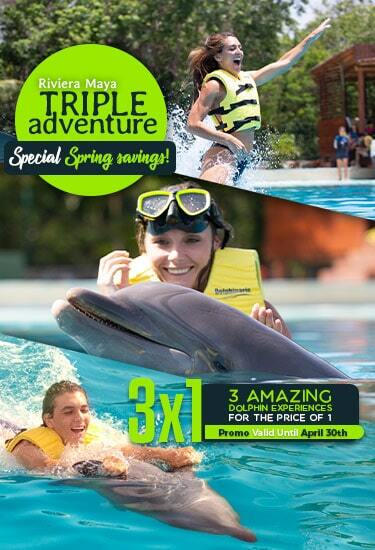 Choose the Dolphin Swim Experience that best suits you and enjoy swimming with them at the world’s best Dolphinariums. 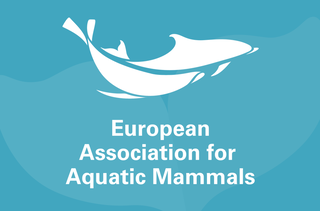 SWIM WITH DOLPHINS IN THE WORLD’S BEST DOLPHINARIUM. Come with us and get a once in a lifetime experience in Mexico. 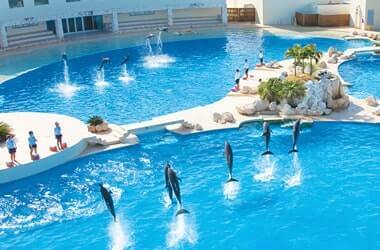 Dolphinaris offers the best dolphin swimming programs in the world’s best dolphinariums. 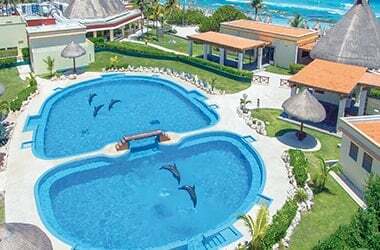 With facilities created by the most talented architects, our exclusive dolphinariums are a great home for our dolphins where they can feel safe, comfortable, pampered and ready to have a personal encounter with each visitor. 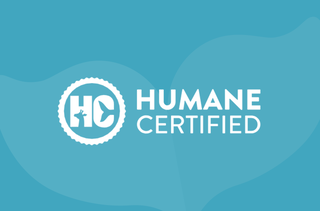 Come and discover our locations along the coasts of Cancun, Riviera Maya and Tulum. 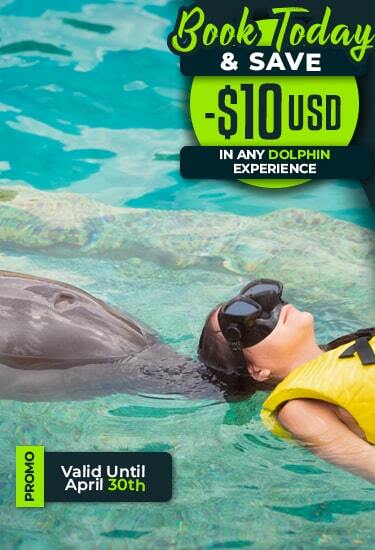 Dolphinaris is ready to offer you a mind-blowing day in the company of these wonderful mammals. 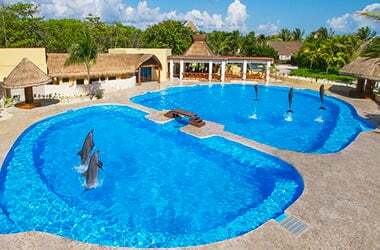 With facilities created by the most talented architects, our exclusive dolphinariums are a great home for our dolphins where they can feel safe, comfortable, pampered and ready to have a personal encounter with each visitor. 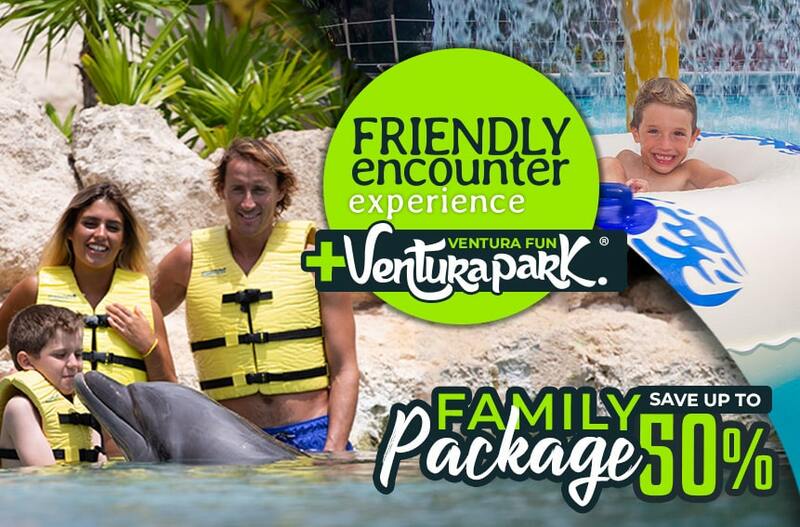 Make your dream come true and experience a majestic dolphin encounter with your family. 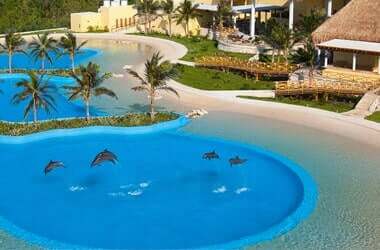 In our state-of-the-art dolphinarium which keeps in perfect harmony the design and cutting-edge technology with the natural environment of the Mexican Caribbean. 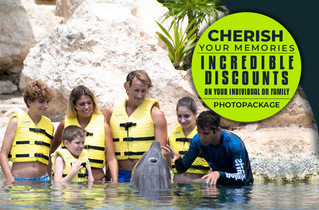 Dolphinaris offers you exclusive promotions and discounts for those who know that life is made out of moments. 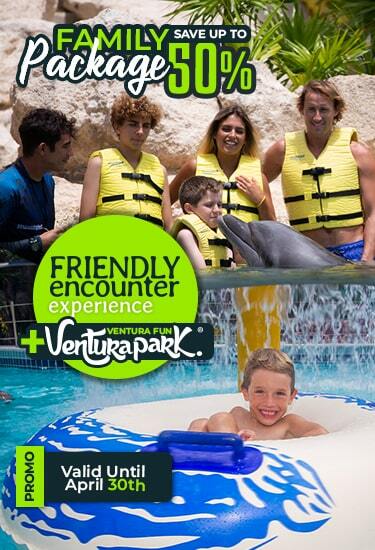 Come and enjoy the company of the most amazing marine animals on the face of the earth: the dolphins! 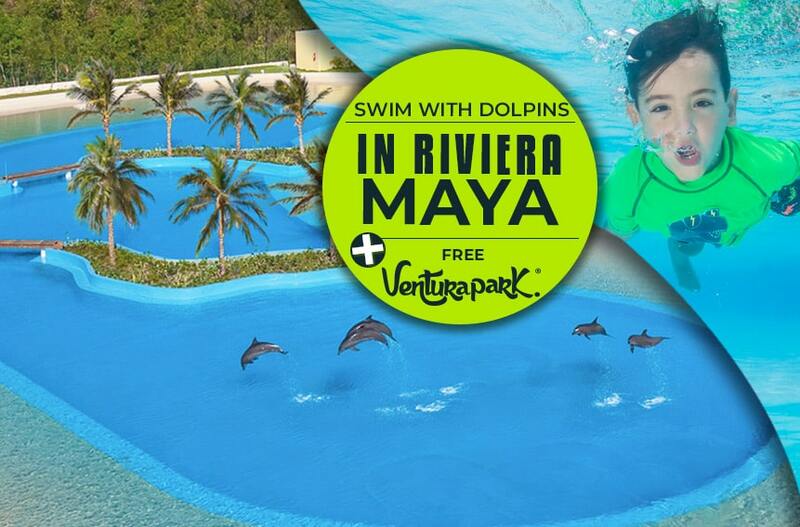 Make your dream come true and experience with your family a majestic dolphin encounter in our state-of-the-art dolphinarium which keeps in perfect harmony the design and cutting edge technology with the natural environment of the Mexican Caribbean. At Dolphinaris, we´re proud to be much more than just a dolphin habitat. 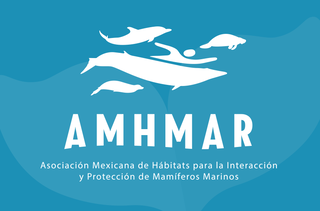 Through the vision of our BLU by Dolphinaris program, we´re dedicated to the research and conservation of marine mammals, and we also strive to create awareness among each and every guest who participates in our Ocean Care Experiences.